The 2017 season will be Dale Earnhardt, Jr.’s last a full-time Monster Energy NASCAR Cup Series driver. The third-generation driver met with team owner Rick Hendrick to inform him of his decision on March 29 of this year, and the team confirmed just moments ago that after 18 seasons and more than 600 career MENCS starts, Earnhardt will step away at the end of the 2017 campaign. Earnhardt has driven for HMS since 2008, collecting nine of his 26 victories with the organization. One year ago, concussion symptoms forced Earnhardt from the cockpit of his No. 88 Chevrolet for the second time in his career. 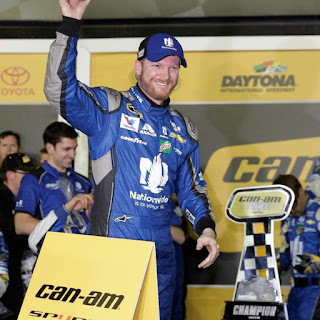 NASCAR’s 14-time Most Popular Driver missed the final 18 races of the season, prompting widespread speculation that he would never return to competition. Earnhardt refused to be carried from the battlefield on his shield last season; vanquished by a foe hidden deep inside his brain. After months of healing and therapy, he returned to competition in February at Daytona International Speedway, climbing back behind the wheel of his familiar, silver-and-blue Chevrolet and running up-front until a mid-race crash spoiled his bid for Victory Lane. He returned to the sport on his own terms. And now, he will leave it the same way; walking away -- of his own accord -- while ranking as one of the most competitive and popular drivers of his era, or any other. It is a fitting exit for a man who has given so such to the sport that has framed his existence from the beginning. His childhood included a superstar father who was habitually absent while fulfilling the obligations of a NASCAR champion, often at the expense of his own children. 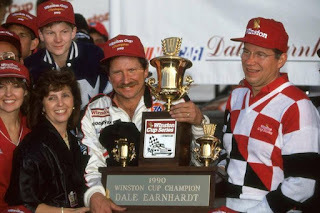 Many of the photographs of Earnhardt, Jr.’s youth feature him in the background of various Victory Lane ceremonies, home from military school just long enough to stand on the sidelines as his legendary father celebrates with team members, sponsors and a stepmother who -- to this day – did little to include him in her husband’s happiness. After such a rocky start, the relationship between Earnhardt Sr. and Jr. took many years to repair. And just when it had finally begun to bear fruit, “The Intimidator” was killed on our sport’s grandest stage, leaving his youngest son to shoulder an impossibly heavy burden of expectation that he had neither asked for, nor welcomed. Despite a pair of championships in what is now the NASCAR Xfinity Series, Earnhardt, Jr. has heard his share of criticism over the years. 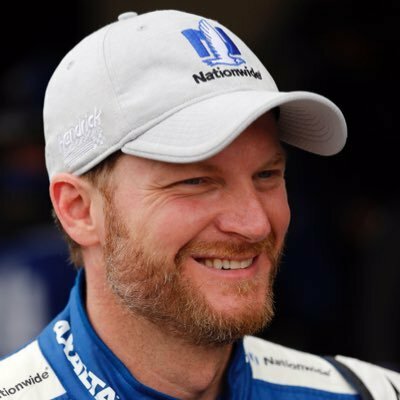 Admittedly, Earnhardt, Jr. has never won a MENCS championship in his 18-year career. Currently ranked 24th in the championship standings, he is unlikely to do so this season, either. But at this point, who really cares? When fans look back on Earnhardt’s career, they will certainly remember the wins and losses. But more importantly, they will remember the easygoing style that made him so beloved across NASCAR Nation. Last season, 25% of all NASCAR souvenir sales included Earnhardt’s name, number and/or sponsor. His fan base crosses international, economic and intellectual borders, and NASCAR will be hard-pressed to replace him in that regard. Equally difficult to replace will be the honesty, humility and sense of humor that have made Earnhardt a Media Center favorite since his earliest days in the sport. No one puts more thought into an answer than Junior, and while he has never been a standard-bearer or spokesman for his fellow drivers, his opinion carries a weight and importance that very few competitors have ever equalled. Despite his multi-million dollar bank account, Earnhardt remains a man of the people. Like his father before him, Junior resonates with the working man; the guys who build tree houses in their backyards and fill the woods with old junk cars. Make no mistake about it, however. 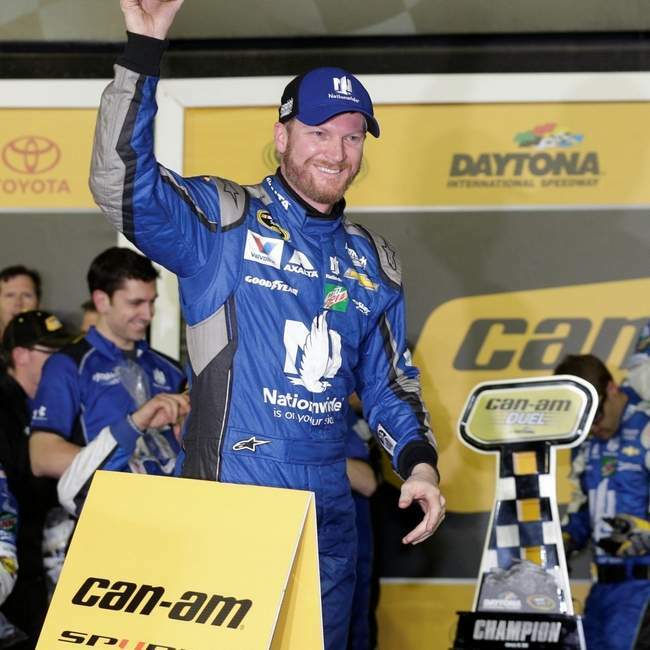 Dale Earnhardt, Jr. is not his father. Never has been, never will be. They share a name and an avocation, but that’s where the similarities end. Dale Earnhardt, Jr. is no Intimidator. The “bull in a china shop” style that made his father a cult hero has never been part of Earnhardt the Younger’s racing DNA. With Junior in your rear-view mirror, you are more likely to be outfoxed that outmuscled; a fact that never sat entirely well with the small segment of his fan base that cheered him because of his genetics, rather than his personality. Earnhardt has always been his own man. A man that we will miss seeing behind the wheel of a 200-mph NASCAR race car. But let’s be honest. Since his injury at the midpoint of last season, most observers understood that Earnhardt’s driving career would likely be measured in months, rather than years. In many ways, he has raced on borrowed time since then, willfully dodging the high-speed impact that could end his career at any moment. If he is able to do so for another 28 weeks, the third-generation driver will walk away with life and limb intact, able to devote his attention to his JR Motorsports Xfinity Series organization, and – more importantly – to life outside of racing. Recently married to the former Amy Reimann, Earnhardt spoke in January of last year about the impact marriage has had on his life. "It's a very cool thing,” he said, “and I am so frustrated with myself that I didn't do it sooner. I didn't know things could be this good. It’s a great feeling to be able to depend on someone and (have) them be accountable and be there." Now, there will be time for Dale and Amy to grow and explore as a couple, perhaps even starting that family he has spoken so glowingly of in the past. And as for us, we will be just fine, you and I. NASCAR will survive without Dale Earnhardt, Jr., in the starting lineup, just as it did 15 years ago with his legendary father.